But what does it all mean? Is it just a one off, of no wider significance? I’d like to argue that no, it’s something that should be heeded…..
Metal detecting rallies in general are bad news of course, not because I see them like that but because the whole archaeological Establishment does (though they rarely say so in public). Paul B talks about Yob Britain and that he remembers when things were different. Me too, I remember a time when rallies didn’t happen and the Twinstead theft would have been inconceivable – on that sort of scale at least. In my view the mere rise of metal detecting rallies is a sort of litmus test signalling a coarsening of society. But this incident – a hundred people digging on one small spot for hours and all but two of £70,000 worth of sovereigns illegally removed without a word – goes beyond that and signals (to me anyway) the existence of a pretty substantial feral underclass in detecting for whom opportunity or lack of it is the only constraint. So are we to seriously pretend that the random attendance profile at this rally wasn’t representative of detectorists in general? Or that the percentage of people potentially willing to act like criminals or yobs at Twinstead is different at other rallies? Or that the same percentage of those who acted like that in public at Twinstead don’t act even more like that when detecting in private – and that out of ten thousand active detectorists that percentage doesn’t translate into a huge number? Are we to kid ourselves and the public that the spin now being applied is convincing – that the poor cherubs “didn’t realise it was wrong“, and they all “always intended to bring them back“? Are we to accept (as is also now being said on detecting forums) that it’s regrettable but just down to “human nature”? I have news for detectorists: it’s not. Amateur archaeologists don’t act like this so it’s not human nature it’s the nature of a lot of metal detectorists. And no, not a “tiny minority” as is so often claimed but a sickening proportion, as the Twinstead Random Scientific Sample has just indicated. The whole official Voluntary Recording and Outreach strategy has been based on the idea that there was little truly stony ground amongst detectorists and that therefore the strategy would work in the end . PAS’s actual recording figures have long been indicating it isn’t happening but Twinstead is compelling evidence that it never will. It really shouldn’t be ignored. Yet it probably will be, for it has already been made nice and clear that those who now bring the loot back (despite having told no-one they were taking it) will not only not be prosecuted but will be rewarded under the Treasure Act! How blessed are British metal detectorists compared with shoplifters and bank robbers. Perhaps the British archaeological Establishment will convince themselves that’s a reasonable or pragmatic approach but they are making our country a laughing stock abroad. I wish I had a friend in the police force. A heritage preservationist who publicly declared “All I want is for the archaeological resource to be protected from damage due to widespread non-reporting of finds by toe rags mouthing the words <it’s voluntry innit> and for preservationists and their families to be protected from internet threats by detectorists like Big Mick, stalwart supporter of Central Searchers and direct telephone threats by others”. But sadly, I don’t, as political correctness and awful judgement has led The Establishment to think an artefact hunter not a preservationist ought to be in charge of police investigations into criminal matters involving artefact hunters. If they lean over backwards any further to please detectorists they might as well become detectorists themselves. Although…. it’s a significant fact that you’ll never see a photograph of any PAS employee joining in the fun at any of the hundreds of rallies they’ve attended, which says more than a million words what they really think, does it not? They are effectively conveying that they think Barford and Swift are right, unregulated metal detecting is not on. All of which makes the whole shebang even more risible abroad. When will someone decide it’s all untenable? 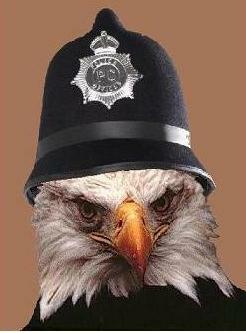 so that means, now the 14 days have expired, you are dealing with criminals, plain and simple, does it not Eagle 1 ? One of them is said to have ‘ad it away on ‘is toes with 70 of them, that’s about £24,500. I trust the cosy stuff can now be entirely dropped? Well, time is now formally up so what hasn’t been handed in has been unlawfully retained. Has there been a late flurry of confessions? Probably. “We know who you probably are but we’ll pretend you meant no harm if you come forward AND you’ll get a reward amounting to half the value of what you’ve taken away!” is a pretty persuasive offer, not to say pretty unique. Sure, they hold gun amnesties but they don’t hold TV or Mobile Phone amnesties. Nor did we see any such offers being given to the Tottenham rioters. Yet what’s the difference, Tottenham/Twinstead…. beats me. “All I will remember from yesterday is the happy faces and the total disbelief we all felt. Rightly or wrongly and wherever this gold came from it has been dispersed amongst ordinary people, some had probably never held a gold coin before. This money is going to make a big difference to a lot of people’s lives and in a time of recession. If it ever hits the press lets hope that this aspect is the one they focus on and not the negative. They are stolen because they don’t belong to the ruffians who secretly took them home. They ARE Treasure Tyler, it has been explained to Graham elsewhere, ask him to explain it. So long to both of you. i think the attitude of the writer is pretty bad tbh. i am totally disgusted by the actions of the individuals who have shown total disregard for law and what is morally right, but i feel equally sick after reading this. We are not all like this. It doesnt make good news to read about the responsible detectorists, only the bad, so this is all we hear. Its all about working together. alienating people will only make things worse. Name and shame people, we need to stop these detectorists soiling our hobby. as a side note, not sure of the precise numbers, but there are a lot of archeological site that are discovered and reported by detectorists. to a certain point, they keep the archeologists in work !!!!!! I agree with Martins point, They should be named and shamed because they are giving responsible detectorists a bad name. The overwhelming number of people who pursue this hobby are responsible, you only have to look at the PAS report for years 2009/2010. 88% of all recorded finds were made by detectorists. 95% yes95%!! of all treasure cases were recorded by detectorists. We are called “ruffians”. Ha ha , a Victorian term for a Victorian mindset. I go on lots of rallies. The vast majority of attendees are male and female in their late 50’s early 60’s. I really don’t think they would consider themselves “ruffians” or even “yobs” as we have been called. I had no real interest in history until I took up this hobby 4 months ago and now I am absolutely fascinated by all aspects of it. I go out most weekends on rallies in all weathers, in sub zero temperatures in the hope that i can unearth a tiny bit of history and hold it in my hand, knowing that if I hadn’t found it, it would have been left to rot in the ground, never to be seen , never to be reported and logged and never to be part of OUR history. If that makes me a “ruffian” a “yob” or a “criminal” then I am happy to say I am very very guilty your honour and may the lord have mercy upon my soul. SEND HIM DOWN!!! Hardly. Endless repetition doesn’t make it true. The simple reality is that PAS’s clear statistical evidence indicates most of them don’t report most of their finds. « NEWS: More megalithic fairies – this time at Stonehenge!